OSIMS™ (Operational Safety Integrity Management Services) is a leadership-driven approach in risk management. 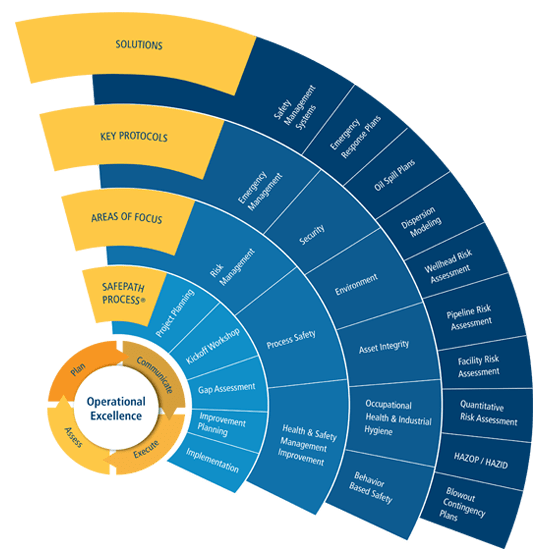 The scope is based on customer’s needs, legislation and best management practices to determine the short, medium and long term plans for achieving Operational Excellence through Health, Safety and the Environment (HSE).United Safety’s OSIMS™ team has decades of industry experience which translates to reliability and efficiency when evaluating systems, assets, resources and infrastructure. From diagnosis to implementation, OSIMS™ has the tools to support customers every step of the way. To learn about our other services, please contact us. To find out how we can help your organization reach Operational Excellence, get in touch with us today.